Our powerful Inxmail Professional and Inxmail Commerce solutions allow you to meet all of the requirements for making your email marketing successful: They let you raise your profile, add new customers, retain existing ones and increase response rates. Learn more about Inxmail Professional, our proven email marketing solution, as well as Inxmail Commerce, our specialised solution for one-to-one and transactional emails. Inxmail Professional allows you to deliver highly personalised newsletters and email campaigns. Intelligent newsletter templates, powerful interfaces to third-party systems, a high degree of deliverability and outstanding service lay the groundwork for effective email marketing and holistic communication. 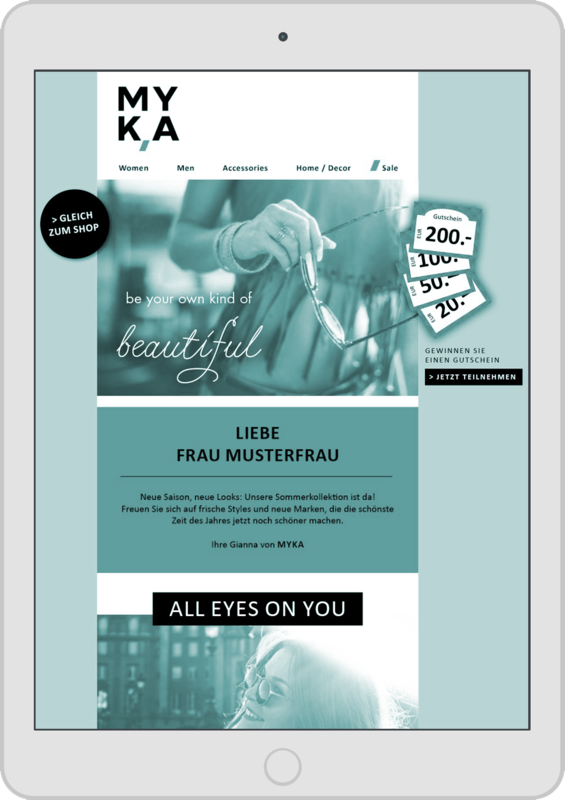 Easy-to-implement design and personalisation options based on flexible and mobile-optimised newsletter templates. Newsletters and trigger and event mailings tailored to your recipients’ needs. Performance monitoring to optimise your KPIs. Flexible connection and powerful interfaces to CRM, ERP, CMS and online shop systems, as well as Web analysis tools. High degree of deliverability thanks to years of experience and cutting-edge infrastructure. Made in Germany; servers located in Germany. Award-winning customer service, including consulting. Inxmail Commerce is specialised for automated one-to-one emails. These include transactional emails related to the order process, such as invoices, confirmations of receipt, dispatch and return confirmations, product evaluations and password reminders or status reports from online portals. Centralised control and creation of transactional emails along the entire customer journey. Easy and intuitive mailing creation. 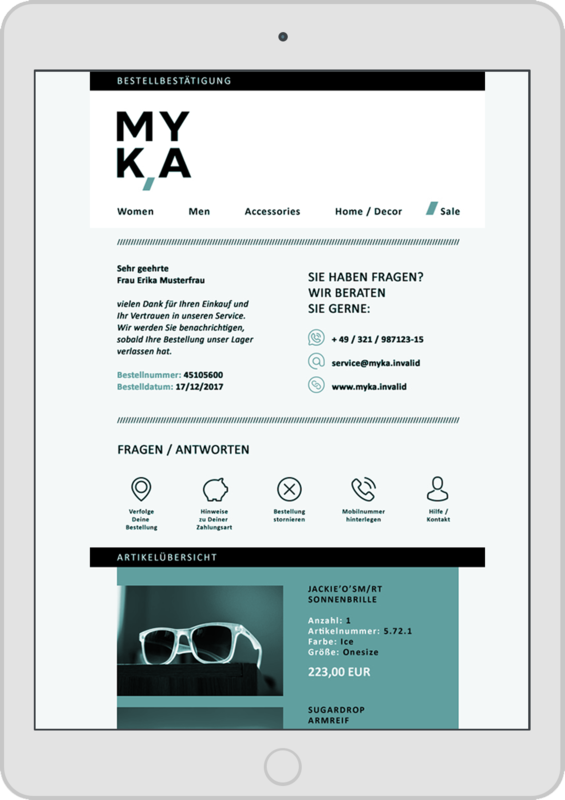 Seamless connection to your online shop and additional systems such as CMS or ERP tools. High degree of customisation and personalisation. Transactional and system emails in your corporate design. Clear sending information and reports with KPIs. Wide range of possible automations. High degree of deliverability thanks to years of experience, server location in Germany and cutting-edge infrastructure. We offer best-of-breed solutions for ultimate flexibility and performance. Flexible, highly effective integration of email marketing into your system landscape – make use of what you have. Includes Inxmail Professional RPC API (for Java, PHP5 or .NET) for connection to third-party systems. REST API (beta) for high-performance, quick connections to Web-based and mobile solutions. Connection to CRM, ERP, CMS, online shop and campaign management systems, as well as Web analysis tools. Existing integrations for Microsoft Dynamics CRM, Salesforce CRM, Dymatrix DynaCampaign, CAS genesisWorld, Magento, Shopware, OXID eShop, econda, Webtrends, various social networks and many additional systems. Plug-in interface offers many options to enhance Inxmail Professional by including additional customised functions, such as the coupon code plug-in. Inxmail Professional DBSync for automated synchronisation of recipient data from external databases.